Good morning! 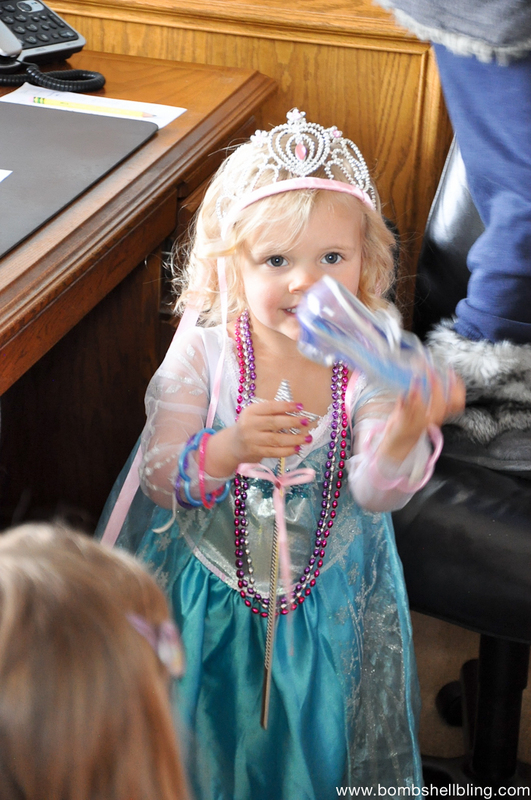 Coming up in a couple of days I will be sharing my daughter’s Disney Princess Bippity Boppity Boutique Birthday Party! (Wow — what a mouthful!) 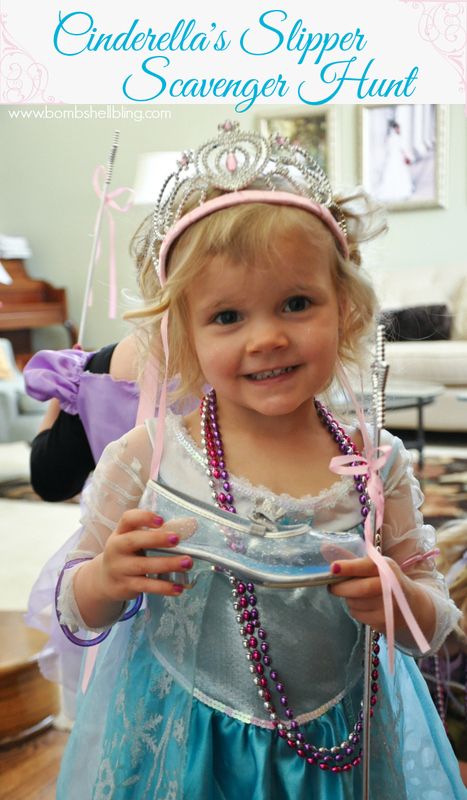 Today I am just sharing one of the games that we did with you: Cinderella’s Slipper Scavenger Hunt! 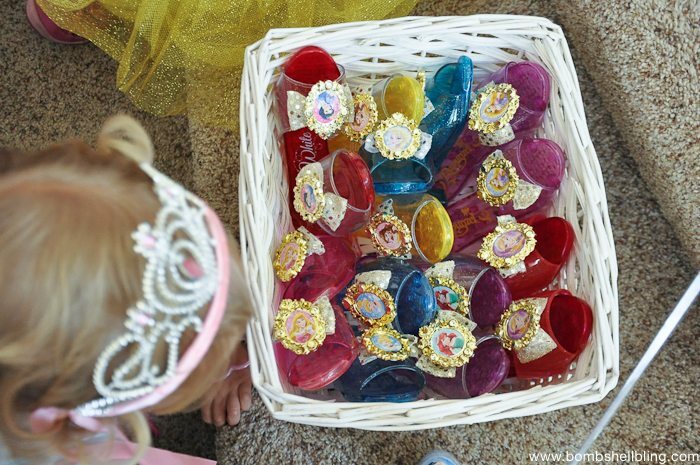 I ran across an idea for a hide-and-seek princess shoe game, and I thought I would merge that concept with my daughter’s love for scavenger hunts and turn it into a Cinderella Scavenger Hunt. 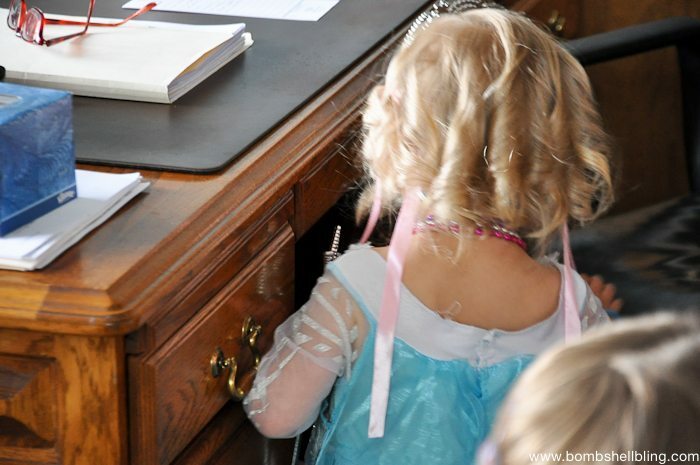 And, because I am me and tend to go overboard when I get excited, I hid quite a surprise for the little princesses at the end of the scavenger hunt. Squeee! Since I was throwing this party for two and three year olds, I kept it simple. SUPER simple. 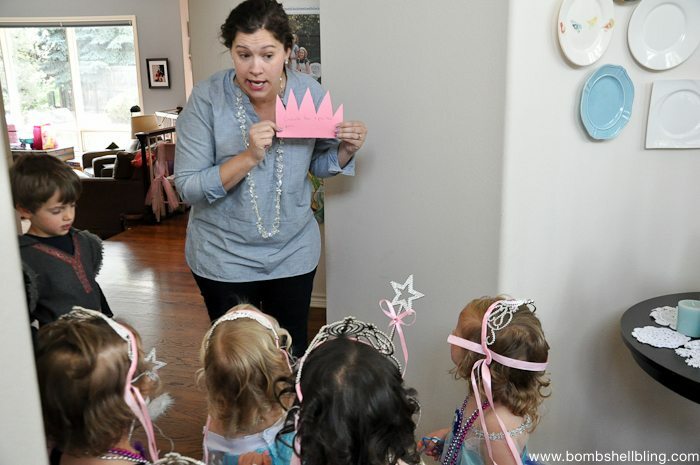 I simply cut four crowns out on pink construction paper, wrote a clue on each crown, and taped them around the house. The clues were very sophisticated. For instance, “Cinderella gets hungry and needs to eat,” led to the refrigerator. Fancy, right? 😉 Here is a very glamorous picture of me reading the first clue to the girls for our Cinderella Scavenger Hunt. The girls were adorable doing this. I would read them a clue, such as the one above, and they would start stampeding mindlessly up the stairs or toward the door. Haha. Too excited to think straight! What a blast! 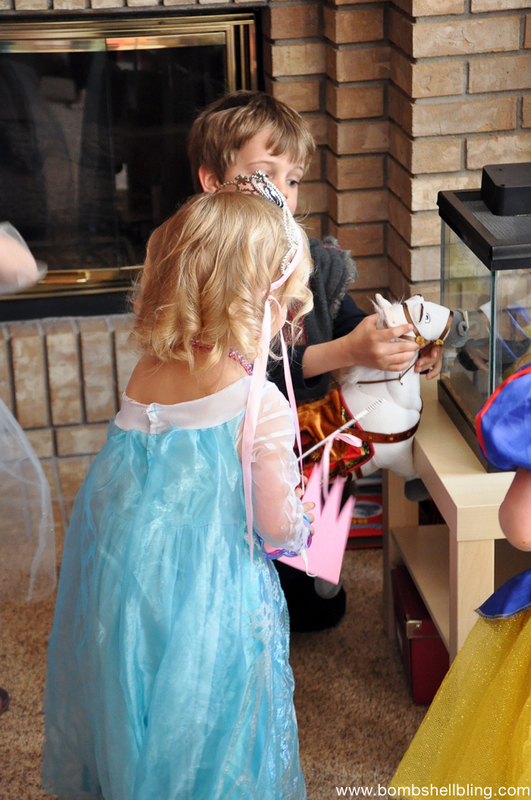 Thanks for checking out our Cinderella Scavenger Hunt, and come back Wednesday to see the full party, full of primping, games, food, and far too much cuteness! (Affiliate Links below – This means I get a small credit for referring you to the company, but it doesn’t cost you any extra. 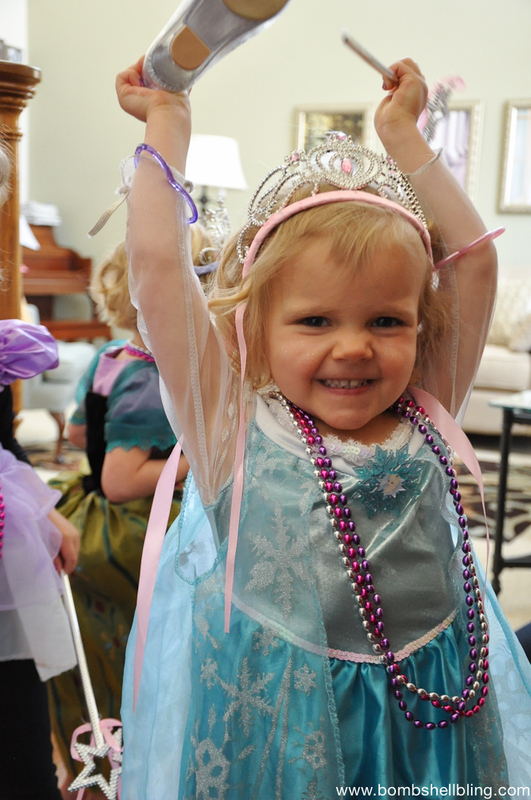 If you are thinking about taking your little princess to “The Happiest Place on Earth” to meet Cinderella you should check out the travel agency Get Away Today. They have vacation LAYAWAY PLANS! Isn’t that brilliant?! Paying off your vacay a bit at a time makes it so much more realistic and affordable! Check out their amazing discounts and packages, and be sure to use the coupon code BLING to get an additional $10 off of your booking! 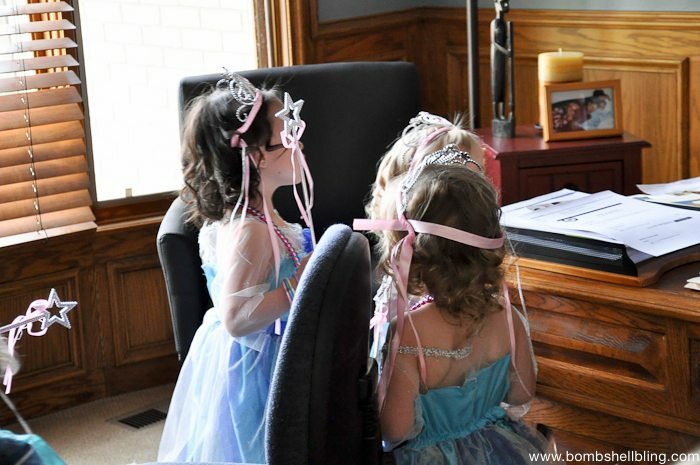 If you like this Cinderella Scavenger Hunt then you should check out some of my other parties and princess ideas! Wow. 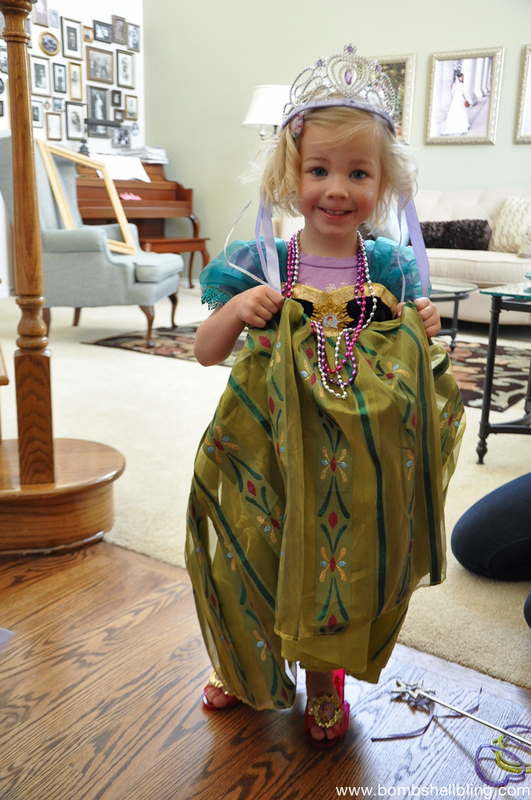 I am glad Cinderella was able to find her slipper! this must have been an amazing party! Thanks for the idea. 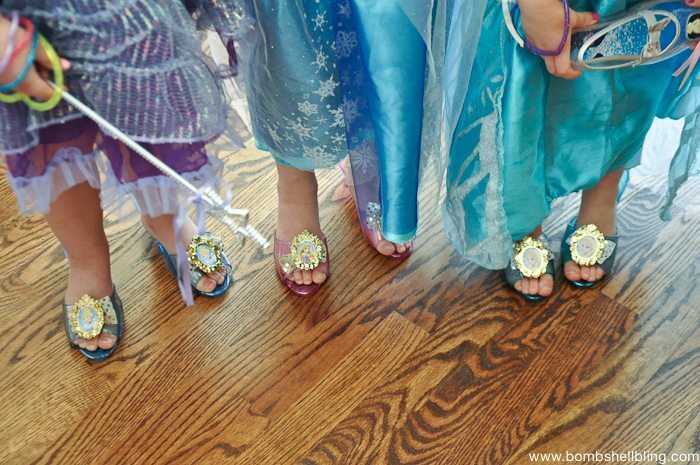 Very cute little princesses with their cute little cinderella shoes! Oh my goodness! I wish my mom was so cool to throw a party like this for me when I was a kid. Can’t wait to see the Bibbity Bobbetty Boo party! Oh and those shoes! How cool! Thanks for linking up at Found & Foraged. See you tonight at 8PM! They all seem so happy! I love the idea! Aw your daughter is so cute! Looks like it was a fun party. Thanks for sharing at the #HomeMattersParty. We hope to see you next week. Oh my goodness! What a lovely and enchanting idea! Absolutely adorable! That is one GREAT Party! My grand daughters would have LOVED that at that age. Perfect party prizes too! I’m dropping by from the link party on The Girl Creative. 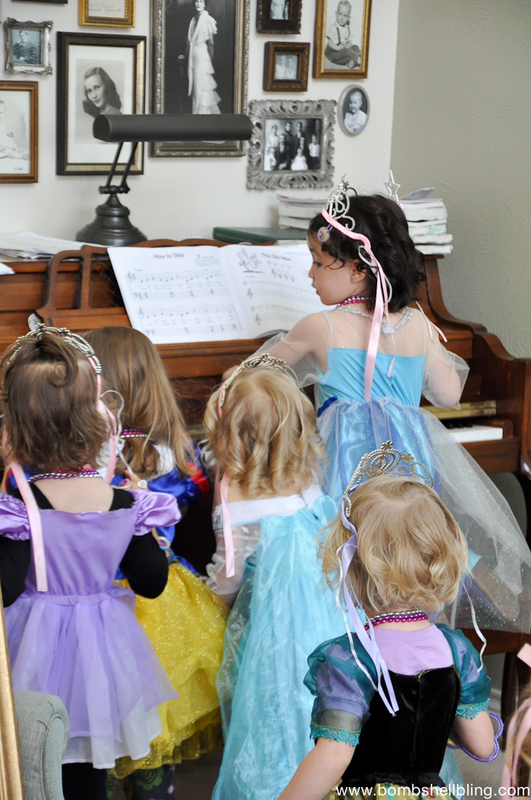 This is such a fun idea — as are all of your wonderful ideas for the party. 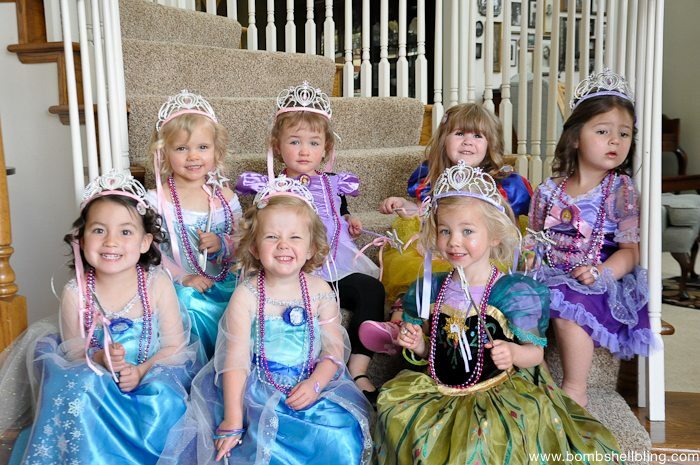 Little girls would absolutely LOVE these activities. I am trying to grow my own link party and I invite you to share this fabulous ideas there because I think my readers would really enjoy your creativity and ideas. My Grandma Ideas Sharing Time link party is at http://grandmaideas.com — it closes at midnight to night so I encourage you to scurry over quickly.